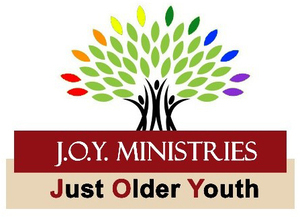 J.O.Y Ministries (Just Older Youth) is part of Faith UMC's Older Adult MInistry, and we invite you to get actively involved. Our focus is on activities and events that are of interest to our over 55-aged adults, but many of our activities and events are open to people of all ages. We have informative sessions in our Faith Legacy Series that include topics such as "How Do I Want to be Remembered", Financial Planning, Estate Planning, Funeral Planning, and Senior Living. These will usually include lunch followed by a program on the topic. We will attend community events and take field trips for fun and learning such as movies, concerts, baseball games, museums, dinner theater, and historic churches in Wisconsin. J.O.Y. Ministries is one of the outcomes of our Growing With Faith planning that took place in 2017 and we need your involvement and ideas to assist us in making this a truly enjoyable and uplifting ministry for you. We welcome your insights and participation. Please contact Diane Hackbarth or Steve DeLano for more information or to share your ideas. Financial Power of Attorney's are an important aspect of our prepararion for our families as we grow older. Having a Financial POA will save time and money if one becomes incapacitated and can no longer make their own financial decisions. Our church has a Notary Public to assist with getting documents notarized. We will invite someone from a local mortuary to share information about funeral planning. We will be reminded of the wonderful hymns and scriptures that we might want to use for fumeral preparation.